On long-term loan, for security, from Lismore Parish Church These are fragments of a substantial stone that were later mortared into walls in the church graveyard. The upper fragment was found by Donald Black in the wall surrounding the ministers’ lair to the SW of the church. An image from Fisher (2001) shows the carving more clearly. 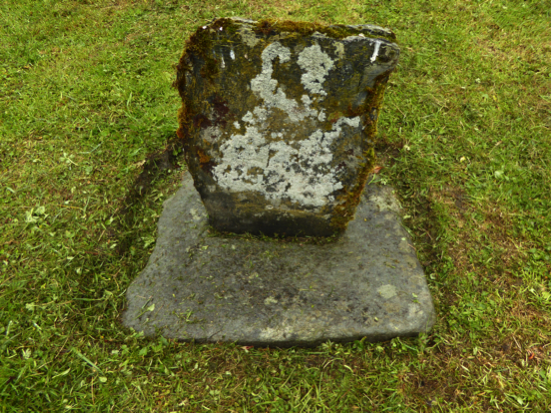 The fragments are carved in a dark-green chlorite schist that appears to match the stone at the top of the graveyard, the slotted base of the “Black Cross of Lismore”. Associated with an early abbot of the Celtic church on Lismore, Saint Dubhoc, the cross was destroyed at the Reformation. At present, there is a rough piece of slate marking what was formerly an important venue for celebrations such as the declaration of marriage banns. It is more than likely that these stones are parts of the Black Cross. Islanders and visitors should be vigilant in searching the walls around the church for the rest of the cross. Fisher (2001) describes another larger piece, which appears to have disappeared from the church. 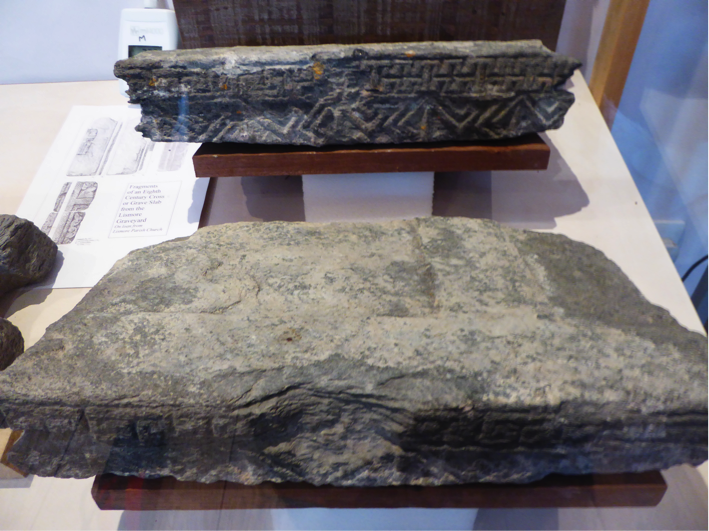 The stones are on permanent display in the Heritage Centre Museum. CELM is grateful to the Session of Lismore Parish Church for the privilege of housing such important objects. Reference: Fisher (2001). Early Medieval Sculpture in the West Highlands and Islands. Edinburgh, RCAHMS.